Do you love travel? Have you ever wanted to visit Hawaii or Europe? 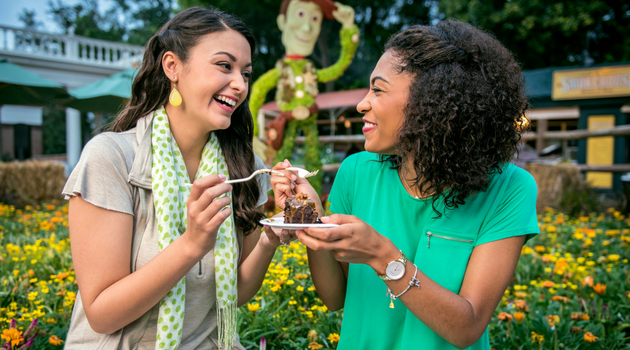 Do your friends come to you with guidance on planning their Disney vacation? How would you like to book your friend’s and family’s vacations to help pay for your own? If you answered YES to any of these questions, it may be the time for you to start a new lifestyle in 2019. We are in the process of recruiting a new team of travel agents to work from home or while you travel. If this interests you, read more about joining our team. Who is Destinations to Explore? Destinations to Explore (DTE) has been selling family travel for over 19 years. We have a team of 300 agents that own their own business. Our team works from home or the road, while traveling with their own family. Destinations to Explore is owned by Tim & Allison Jones. You may have seen them on every Disney World documents, on Disney World commercials, on YouTube as Jones Family Travels, or in one of these media outlets promoting their travel business. Destinations to Explore has been featured as the Official Travel Agency for over 800 websites, including Couponing to Disney, Your First Visit, and A Frugal Chick. DTE and their team have been featured in hundreds of media, magazines, television shows, blogs, podcasts, and radio outlets. Learn even more about Destinations to Explore, by clicking here. We know you will have a lot of questions about joining our team. Here are a few questions to see if this is a good fit for you. I Do Not Have any Travel Experience or Training? Can I Still Become a Travel Agent? Yes! We will train you. We created a training with Travel Marketing Academy that will teach you how to sell travel. Our training is incredible and you can go from a Disney fan to a travel agent selling Disney in one day. It is a one of a kind training, created in partnership with Travel Marketing Academy. Can I Sell More Than Disney? Yes! It is completely up to you. Our agency sells travel around the world. The initial training will focus on Disney Destinations and our agency training. After you complete this training, your Sales Consultant can work with you on other supplier trainings to sell travel around the world. We are a top seller for cruise lines, Europe, Hawaii, all inclusive destinations, Caribbean, and more. All of these courses are online and taken in your leisure. If you need additional help, your Sales Consultant is available to help find the best training for your favorite destination. You are an Independent Contractor, so your hours are your own. You can work as much or as little on your business. It is completely up to you. We do NOT have quotas. As an Independent Contractor, you are responsible for your own hours, goals, and business. What you sell is completely up to you. We do not give leads in this program. We will teach you how to create and build your business. We will even provide resources and checklists on how to market your business to bring in leads and build your business. There are still opportunities to receive leads. We add a profile page to our website at Destinations in Florida for each of our agents. Many of our team get leads from their agent profile page. You can also sign up for leads through our marketing consortium at Travel Leaders (for an additional fee). Many of our team receive leads through this additional resource. Discounts for YOU – As a travel agent, you can order your travel agent card through CLIA. You can then take advantage of tons of freebies and discounts on travel for you. When you order your travel agent card you can save up to 60% off Disney Resorts, get discount Disney tickets, take advantage of select Disney Cruise deals for as little as $25 per person per night, save 50% off Sea World tickets, free iFLY flights, and more. We have even gotten into our local zoo for free. As a travel agent, you can enjoy so many travel related opportunities for free or at a discount price for you and your family. We will also share some insider knowledge to help you get free travel, too. Disney Approved Website – You can create a website in seconds (approved by Disney and managed by Disney) to promote your favorite Disney Destinations on your social marketing, email newsletters, business cards, postcards, or just to share by word of mouth. Disney E-Brochures and Graphics – These are fantastic tools to promote on your personal social marketing to let your friends and family know you can help them plan their Disney vacations. Disney Materials – We can provide you with additional materials you may need for your guests including brochures, flyers for a trade show, etc. If you need materials, we can get them for you. You can order as many as you need for your local elementary school or just for your friends and family. Document Shipping – We do not charge for shipping the guest documents to you or materials (like flyers or brochures) to you. Initial Agent Training with Travel Marketing Academy – As we mentioned earlier, you do not have to be a travel agent to work with us. We train you. In our initial training via Travel Marketing Academy, you can take this course in your leisure. It can take 4-6 hours to complete your initial agency training. Our online training will take you less than one day to go from learning about Disney to selling Disney. We even have checklists to help you with every step of the booking and planning process, after you get that booking. This helps eliminate any mistakes for new agents. You follow our checklists with every booking. Client Database – Our agency pays for a client database for you to track your leads and customers. Travel Leaders – We pay for a marketing consortium to help you make more commission on your bookings with our preferred partners, offer your clients exclusive discounts that only Travel Leaders members can provide, additional trainings and marketing support. You can even sign up to get leads via Travel Leaders. Newsletters – Send weekly or monthly travel newsletters automatically to your network from your favorite suppliers through Travel Leaders. Postcards/Travel Magazines – You can purchase postcards or travel magazines to mail out to your network. You only pay for the stamps! The materials and personnel shipping them out are free. Preferred Partners – We work with select preferred partners. Working with preferred partners gives our agents a higher commission on their bookings, making more money with our agency than other companies. Some of our preferred partners include; Disney Cruise Line, Adventures by Disney, Sandals, Beaches, Travel Leaders partners, Norwegian, Royal Caribbean, Carnival, and more. You make more money per booking with us! Awards and Recognitions – Our agency has been in business for over 18+ years. 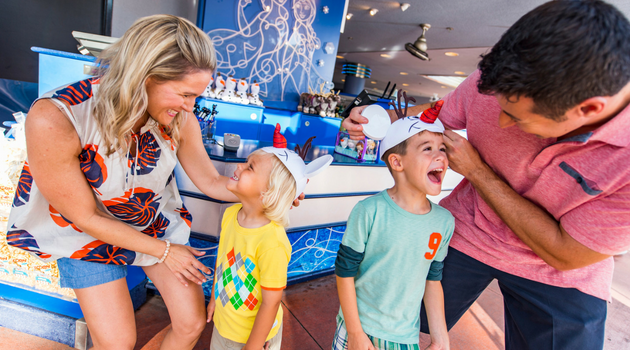 We were one of the 1st Authorized Disney Vacation Planners and have been invited back every year through 2019. We also have received additional awards including Gator100 for 2015 and 2016, Disney Top Sales Performer for 2009 & 2011, and 2015 Earmark Partner Award. We also recently received the 2018 Top Seller Award from Disney World. We have also been a Mark Travel 500 Club Member for the past 4 years. In addition, we have also been recognized in hundreds of media outlets and over 800 websites consider our company their preferred travel agency. As one of our team, you can use these awards and recognitions to help build your business. You can learn more about our accolades. Team Blog – We have an agent blog for our team; dedicated to helping you build your business with tips, marketing, and fun. Sales Consultant – We have a Sales Consultant ready to help you with any questions on building your business, marketing, and more. CLIA & IATA Member – We are a member of CLIA & IATA that provides you additional trainings and resources in the travel industry. You also can order your travel agent card that provides additional discounts for travel agents in the industry. Additional Marketing Courses – You will also have access to paid marketing courses for our team at Travel Marketing Academy, at no additional cost to you. These additional courses are valued at $411. You get access to these courses, as part of our team. Masterminds FB Group – We are so excited to announce our new Masterminds FB Group. This group is only for our team. You will find some great marketing ideas to help build your business from our leadership team and fellow agents. Contact Us for More Information or to Start Today! If you are ready to start selling travel part time or full time, email officemanager@destinationsinflorida.com with a little bit about yourself and why you want to sell travel. We will email you a lot more information about joining our team, including more specific details.